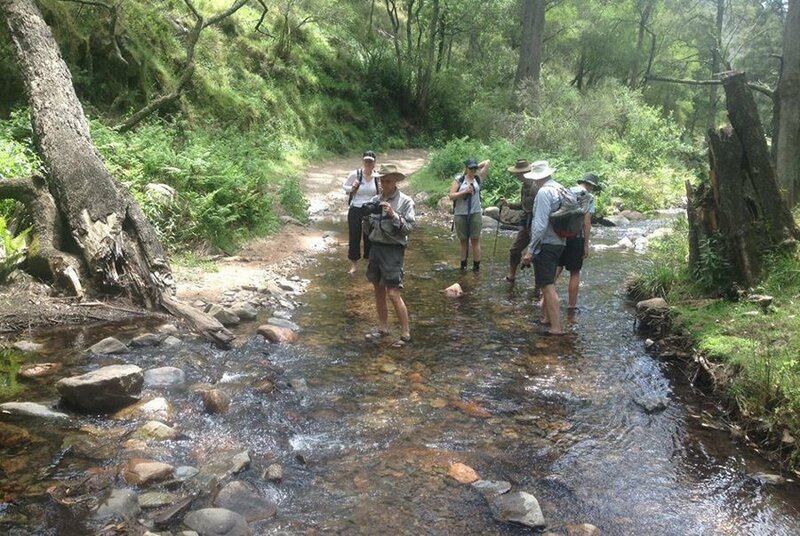 Our fantastic 3 day guided pack free Six Foot Track Walk journeys from Jenolan Caves to Katoomba in the Blue Mountains. 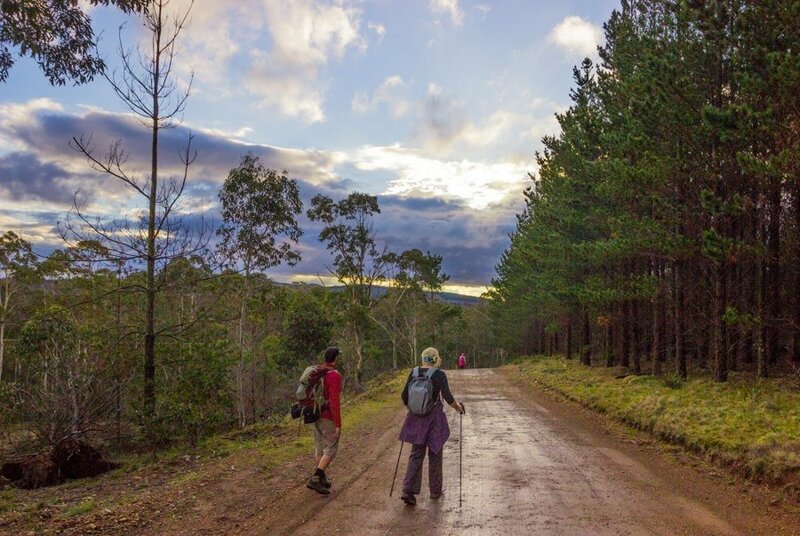 Windng through State forests and national parks, the 6 Foot Track walk follows the 44 kilometre route of the original 1884 bridle track. This walk has been designed for those looking for a guided Pack Free walking experience with everything done for you, so you can focus on enjoying the walk. Our guests won’t be asked to carry their clothes or overnight bags for the entire tour, these will be transported for you each day. This is a big advantage for our guests, in that you will avoid carrying a heavy rucksack on your back every day. With Life’s An Adventure you will carry as little as your water bottle, camera and lunch each day! Having a comfortable place to rest is an important part of our walking experience. 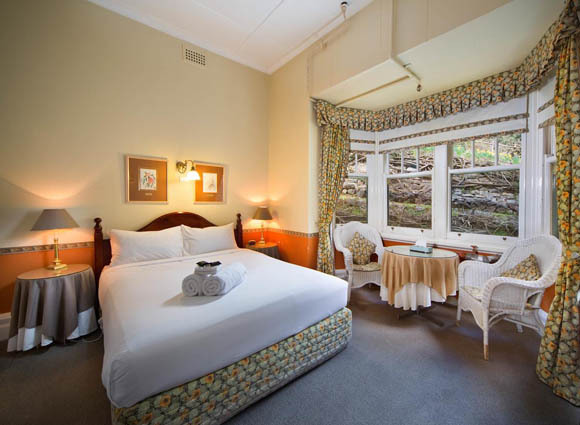 Our first night is spent at the historic Jenolan Caves House in a Grand Classic Room with ensuite. Our second night will be at the newly renovated Hampton Hotel enjoying superb comfort in your ensuited room. On a Life’s An Adventure walk we always include wow factor’s to make your walk extra special. 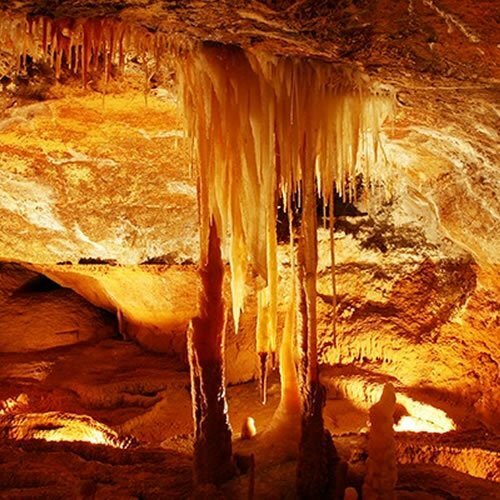 On arrival at Jenolan Caves we include a guided tour of the amazing limestone formations of the caves. Whilst on day 3 we stop at the charming Dryridge Estate Winery in the Megalong Valley, with spectacular views of the Blue Mountains escarpment this is a perfect place to relax and enjoy lunch, and wine tasting. We call our guides CEOs – Chief Experience Officers and it’s their job to ensure your walking tour lives up to to your expectations. Our guests will enjoy a la carte dining in the restaurants at both our hotels. 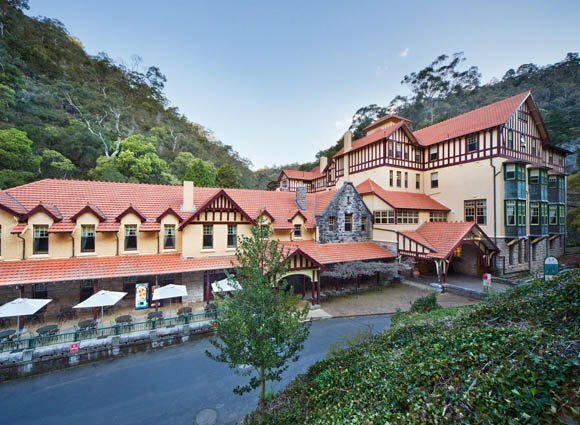 At Jenolan Caves enjoy dinner in the charming Chisholm’s Restaurant featuring modern cuisine served with white and red wines. Whilst at the Hampton Hotel, enjoy home style cooked meals in the restaurant with beautiful views of the surrounding hills and valleys. 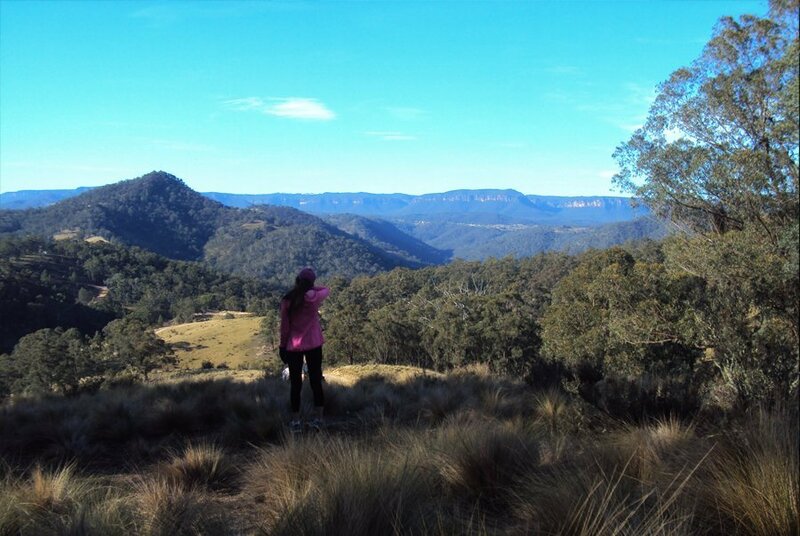 This walk has been designed to follow the direction from Jenolan Caves to Katoomba. 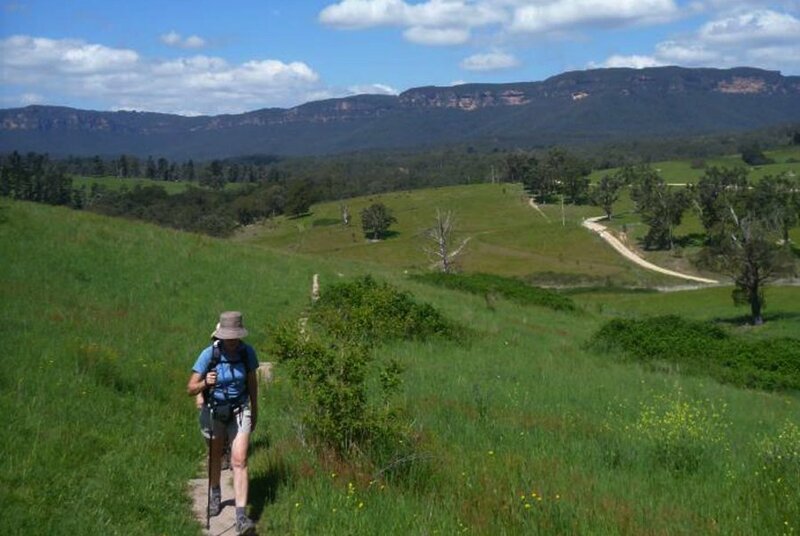 This allows us to walk towards the spectacular Katoomba Escarpment providing magnificent views as you walk, rather than the best of the views be behind you all the way. 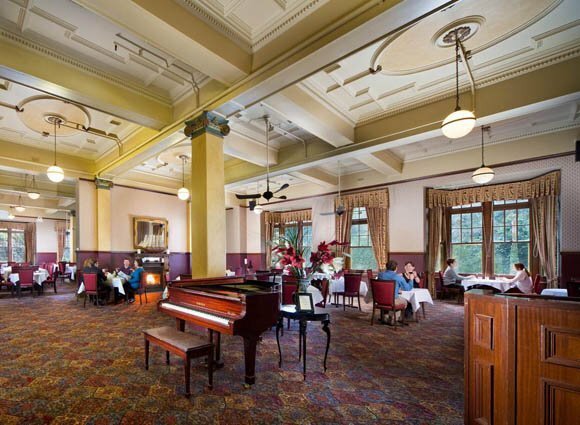 We meet at the historic Carrington Hotel In Katoomba for our walking briefing at 8.30am. From here we transfer to Black Range to start our walk into Jenolan Caves. On the way we will pass the pretty Jenolan Cottages a favourite stomping ground for mobs of kangaroos. We head down Binoomera Ridge and pass stunning Carlotta Arch before arriving into Jenolan Caves. After lunch we enjoy a guided tour of the Temple of Baal Cave, renowned for its beauty and spectacular features. We enter the Temple of Baal Cave via the ‘Binoomea Cut’ a long manmade tunnel. Then, they travel down the ‘Dragon’s Throat’, via a dramatic winding staircase. There are 2 massive chambers, one 42 metres high and filled with beautiful formations. One of these formations, the 9 metre tall ‘Angel’s Wing’ shawl, is one of the largest cave shawls in the world. The cave also offers beautiful examples of crystal helictites. 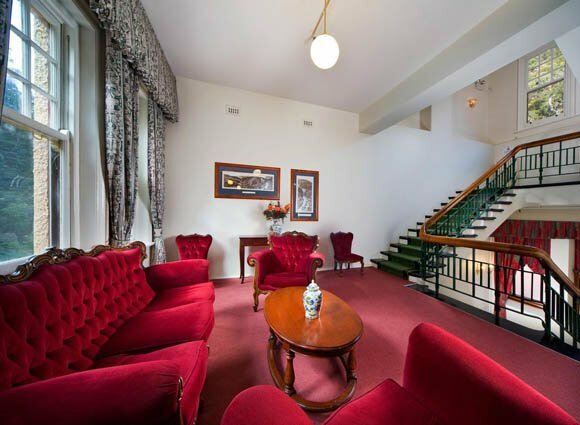 Tonight we spend the night at the historic Jenolan Caves House in a grand classic room. After a refreshing shower, join the group in the delightful Chisholm’s Restaurant to enjoy a two course meal featuring local produce and wine and chat about the day’s adventures. Enjoy a delicious breakfast in the restaurant. We then transfer back to the trail to start our walk down the range to Coxs River. Today has many downhill sections so walking poles will come in handy as we will be descending 800 metres over the course of the day. We follow the fire trail passing through wooded country past Mini Mini saddle with views ahead to the valley. On the last descent into Coxs River, our vehicle will meet us and whisk us away to our accommodation at the newly renovated Hampton Hotel. Here you will enjoy charming ensuited rooms so you can have a relaxing shower before dinner. For those wanting to catch up pre-dinner, there is a relaxing bar you can sit back and have drinks (own expense). Tonight enjoy dinner in the restaurant served with wine. After breakfast, we transfer our guests back to the trail. 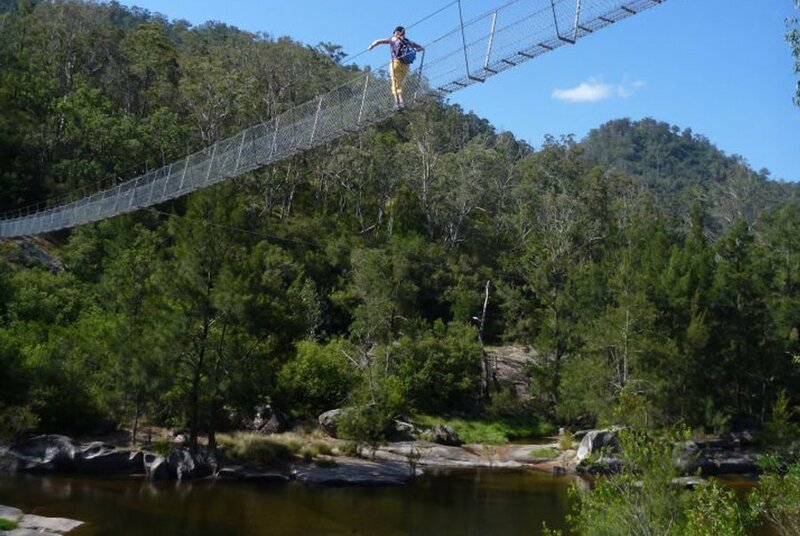 On arrival at the Coxs River, the trail follows the pretty river to the historic Bowtell Swing Bridge and exciting river crossing. 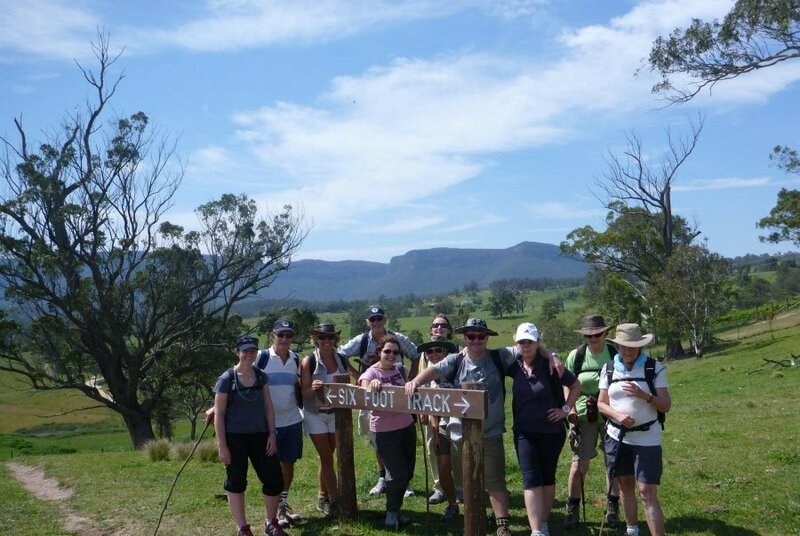 The trail then meanders through the forest to we reach the charming Dryridge Estate Winery in the Megalong Valley with spectacular views over the Blue Mountains escarpment. We enjoy a lunch stop here with a delicious BBQ lunch and wine tasting. After lunch we follow the rolling hills passing properties with horses until we reach the final steps that will takes us through the rainforest gorge of Nellies Glen. Ensure you stop to look up at the spectacular escarpment above you as you make the climb. We reach the finish of our the trail near the Explorer Tree. From here we transfer our guests back to the Carrington Hotel, the end of an amazing journey. Night 1 is spent at the historic Jenolan Caves House. This Edwardian Style building was built in 1897 and is situated in a valley surrounded by mountains and the famous limestones caves. 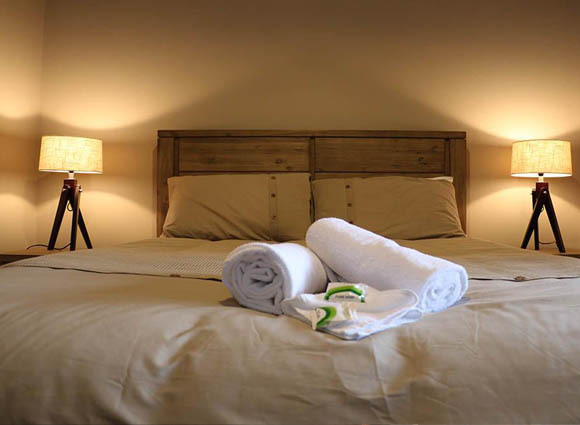 Our guests will stay in Grand Classic Rooms featuring an ensuite and King Bed. 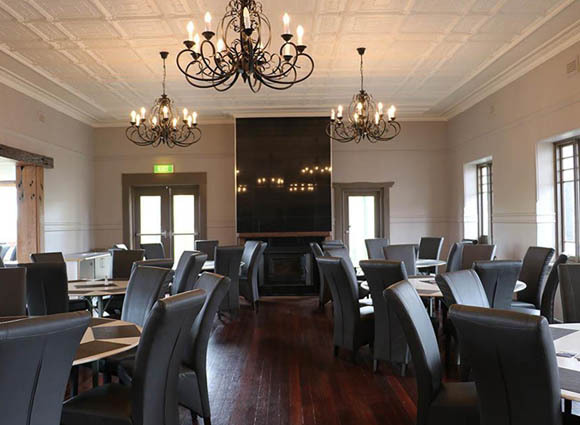 Enjoy dinner in the charming Chisholm’s Restaurant served with local Australian wine. Our second night’s stay is at the historic Hampton Hotel, this old hotel has been attracting visitors, since the 1860’s days of horse and carts. 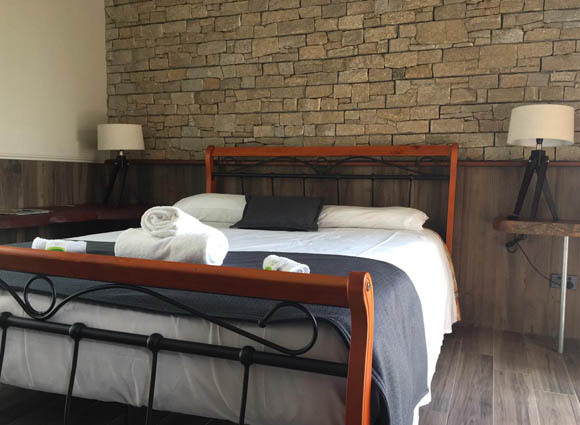 Newly renovated, the hotel features charming hotel rooms with private ensuites. 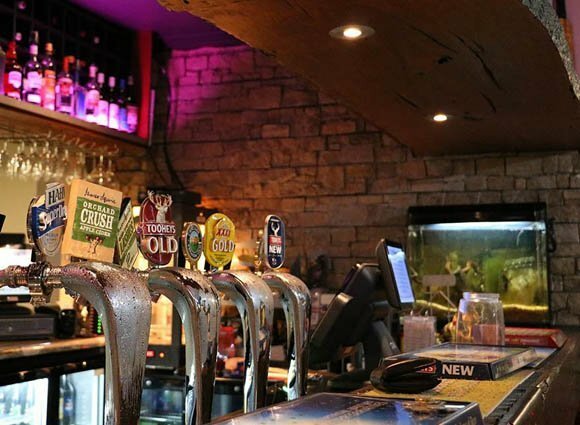 Guests can relax in the bar and lounge pre dinner and soak up the pub style atmosphere and acoustic music. Whilst dinner is hearty style home cooked meals in the main restaurant, accompanied by local wines. Please note: accommodation style and standards do vary across our range of Australian tours based on the remoteness of each area. 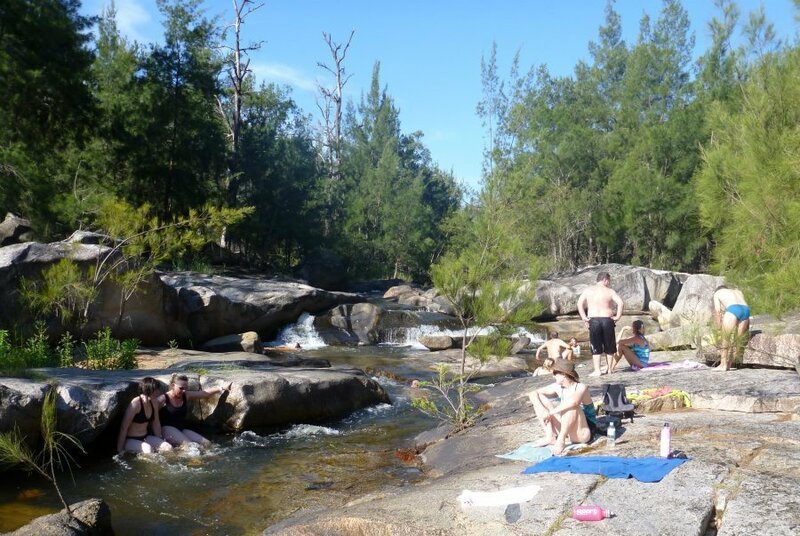 However we always choose the best accommodation available, which is close to the trail. This is an extremely remote area and no 5 star hotels exist, however the accommodation we have chosen is clean and comfortable. We run regular scheduled from September to May each year. 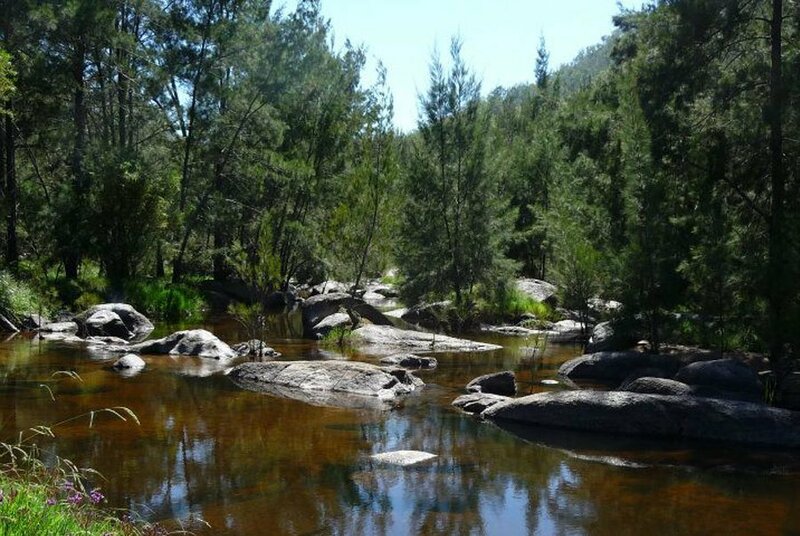 As availability is always changing you can check real time availability on all our NSW walking tours below. Spot Special Savings of $150 per person are available on specific departures when you book and pay in full at time of booking. See availability tab for specific dates. See special conditions below that apply to Spot Special deals. Private groups of 8 or more can save an additional $50 per person (on above savings) when they book a departure. Choose a date of your choice - subject to availability. Book and pay in full at time of booking to receive these special offers. Book & Pay in full at time of booking. Departure of your choice. Available for groups of 8 – 11 people. Book & Pay in full at time of booking. Singles not wanting to share and requesting their own room. Add $181. Exclusive departure dates can be organised for groups of 8 or more. We can also offer alternative itineraries to include an evening concert in Jenolan Caves. Please enquire for dates and pricing. Prices are based on twin share of rooms. If you are travelling solo you may be required to share with someone of the same gender. If this is not suitable you can request to pay a single supplement at Jenolan Caves House, however this is on a request basis.